A compact, light-weight entry in the Point Concentric series, the PC 6 fits well into many applications with its 70° conical pattern. 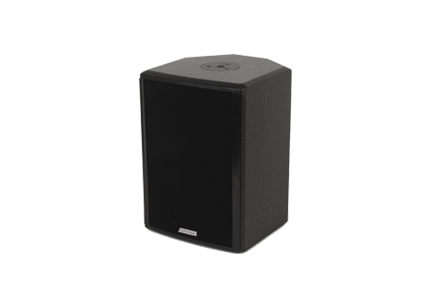 It ships with standard M10 fly points and also has Omni Mount 20 series mounting points and is designed to produce linear, high resolution audio throughout its intended bandwidth. All Point Concentric enclosures are constructed of 12 mm Baltic Birch, rather than moulded plastic or fiberglass, resulting in a lower resonant frequency. PC 6 Rigging Bracket (934-0023) Horizontal rigging yoke for the Point Concentric 6.